Neighborhood planning is in full swing for Crown Hill Urban Village and the nearby area. Did you miss the first community workshop in October? Never fear … you can still participate. How? 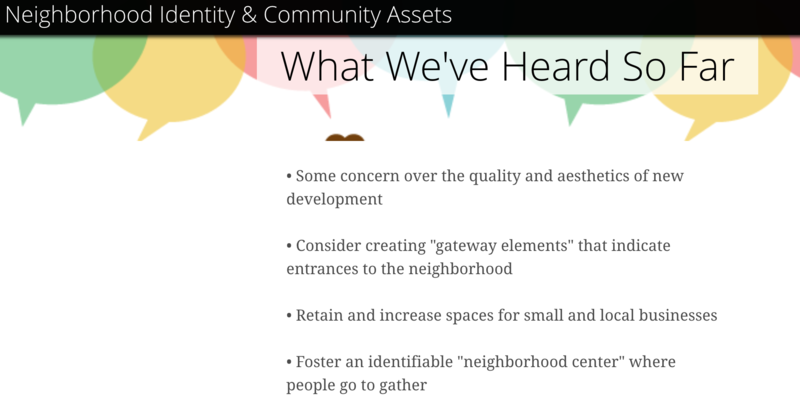 Check out the City’s comprehensive Interactive Story Map of our neighborhood – many of these ideas generated by your neighbors so far. 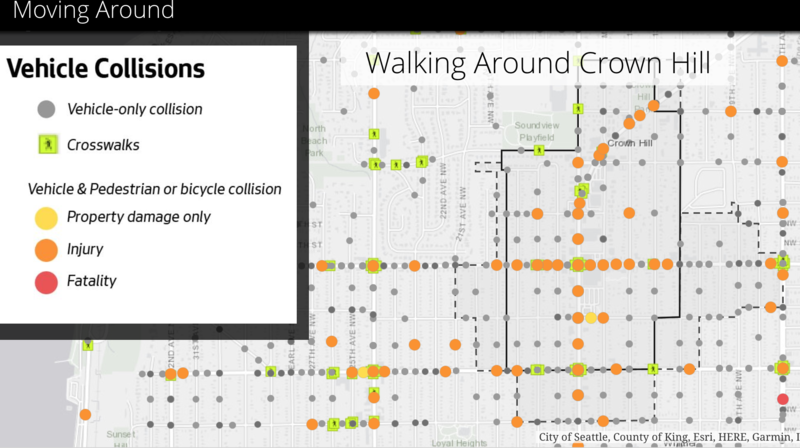 The Story Map provides a ton of details of everything from sidewalks to transit. Current housing to drainage and flooding to tree canopy. A history of our neighborhood to a list of local landmarks and businesses. Suggestions from neighbors about creating a community heart where neighbors can gather to ideas for creating an identity and make our neighborhood distinctive with it’s own unique feel. At the end of the Story Map there is a tab where you can click on the map and make suggestions and comments of your own, or comment or support others suggestions that you like. Participate and comment on the Story Map at this link. The Story Map has a lot of information. Want to just cut to the chase or do you have more to say? The City has also provided a survey. The neighborhood plan will guide our community growth and how we live for the next decades, and the plan will benefit our neighborhood by laying the groundwork for design guidelines and infrastructure and transit investments we desperately need in our community. Neighborhood planning is for everybody living in and near Crown Hill Urban Village … home owners, renters and business owners. It’s for those who have lived here for decades and new neighbors who have moved in recently. It will only be successful if we all participate. The neighborhood plan benefits all neighbors regardless of whether the proposed upzones for MHA move forward. Have questions? Learn more with this Q&A, review the City’s project website or email us (your neighbors) at info@crownhillurbanvillage.org. Construction on the new crosswalk on Holman and 13th should start this week. Neighbors banded together and saved our pedestrian overpass from demolition last year – a testament to what neighbors can do when we work together. Learn more about this crosswalk and construction here. 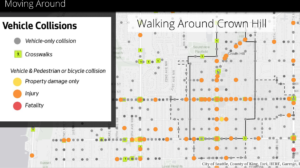 The crosswalk project is connected to the new North Seattle Greenway that will be crossing our neighborhood between Whitman Middle School and running east to Northgate. Learn more about the greenway project here.